This picture shows orphans in their centre at Amani Children Home. They are Orphans and needs your assistance. These are some of Orphans cared by Amani Children Centre located in Moshi, Kilimanjaro region, Tanzania. They need your help especially in the provision of scholastic materials. 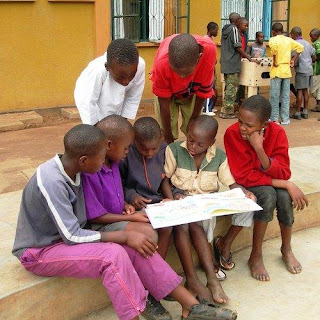 This picture shows to orphans cared by Amani Children centre in Moshi, Kilimanjaro. They need your help.